Looking for a 2019 MINI Convertible? This is it. 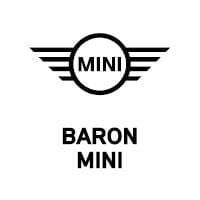 This MINI includes: ICONIC TRIM *Note - For third party subscriptions or services, please contact the dealer for more information. * This sporty MINI Convertible convertible leads the class in performance and refinement. Save money at the pump with this fuel-sipping MINI Convertible. We look forward to seeing you soon! Please call us for more information.